Model: The signal has a gray mast with a movable arm and movable disk. 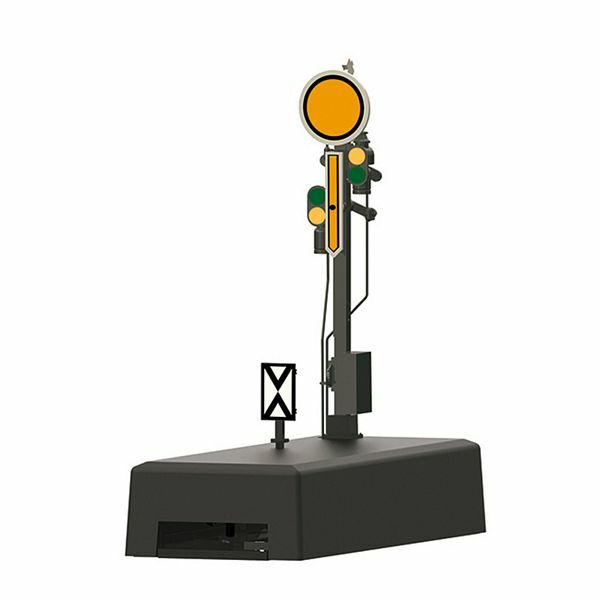 The signal changes from (Vr 0) to green/green (Vr 1) or to yellow/green (Vr 2). It has 2 servos.